The internet is full of little tricks and hacks shared by different people to make life easier. Some of them work while others don’t. 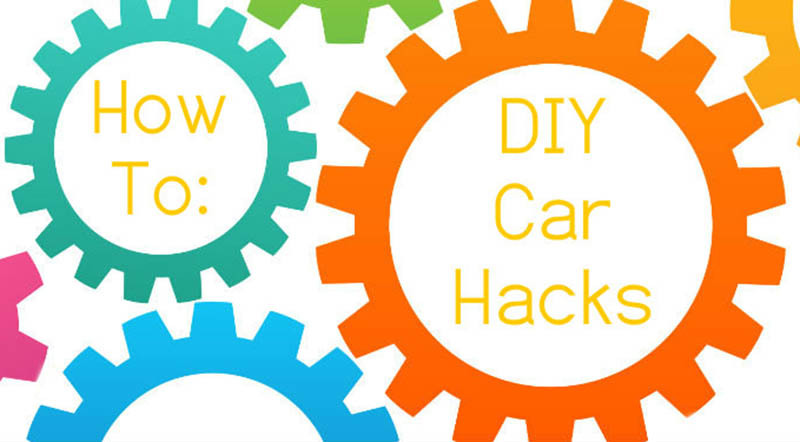 Today, I’m going to share some really amazing car hacks that are sure to work. We all know how hot the climate of Arabian Peninsula is, and how quickly a car can get hot in the UAE. Definitely, as you get in a car that has been taking sunbath all day, you would desire to lower its temperate as quickly as possible. In such a situation, this is my one of the best car hacks. Open the driver’s side window, walk over to the front passenger side, open the door and then close it. Do this for about five to six times. As you open the door and then close it, you are actually pushing out the hot air from the window on the other side of the car. As hot air leaves your car, turn on the AC. Your car would cool down faster. Create your own phone mount to use the navigation system on your phone. All you need is a rubber band or a hair tie. Loop the rubber band through the vents and secure your phone in the rubber band. Simple! There is no need to get a fancy phone mount. The sand and dust from the surroundings can get stuck in the AC vents. Use a simple foam craft brush to clean the vents. This car hack is cheap and really simple. Cracked your windshield? Don’t worry! If your windshield has been cracked and you desire to stop the cracks from spreading before you get the car for repair, use a clear nail polish. Apply it on the cracks from both sides of the windshield to avoid the cracks from spreading. The UAE’s weather is very dusty and sandy, so car headlights can get dirty very quickly. Here’s one of the easiest and quickest car hacks to shine up the headlights again. Put some toothpaste on a tooth brush and rub it on the grimy headlights. Spray some warm water and clean off the toothpaste with a paper towel. Behold sparkly headlights! You can also remove scuff marks from your car with toothpaste. Okay, some car hacks might sound a bit crazy, but this one does work. It’s not a good feeling as you walk away from your car and you suddenly realise you have not locked it. It is true that sometimes you don’t feel like going back because of a long walk back. Don’t worry! You can quickly increase the range of your remote key fob by placing it under your chin and opening your mouth when you press the lock button. Crazy, right? Here’s how it works. When you do this, your skull acts as a kind of satellite and amplifies the range of the signal. Hence, you can lock your car even if you are out of range.